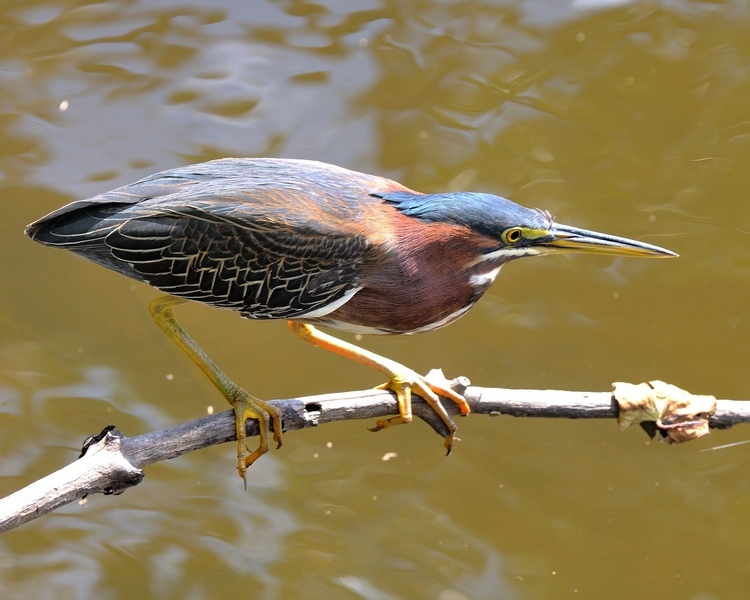 The Green Heron is an interesting little bird. It is the smallest heron in Florida and nicely colored. They are solitary feeders and their coloration blends into reeds and foliage so well that they can be difficult to see at first. If approached in a non-threatening way, you can often get quite close to one as they concentrate so intently on their prey when stalking. The left picture was taken in a drainage canal opposite the Visual Art Center in Punta Gorda. The location will be a part of the Linear Park under development. The right picture was taken on the nature trail at Ponce De Leon Park in Punta Gorda. 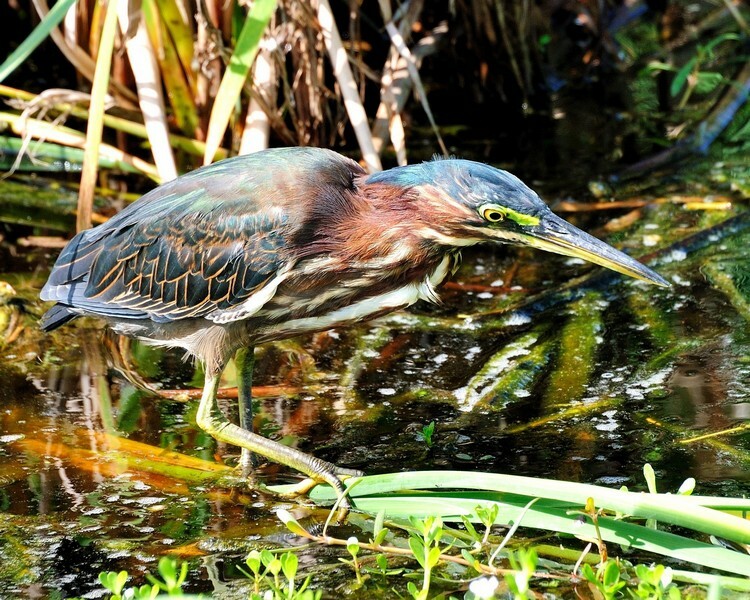 This entry was posted in Bird and tagged Green heron, Photography, Ponce de Leon Park, Punta Gorda Linear Park. Bookmark the permalink.